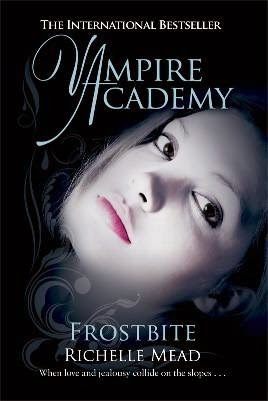 Vampire Beauties: Is a "Vampire Academy" sequel on the horizan? Is a "Vampire Academy" sequel on the horizan? "We are pleased to announce that we are implementing a plan to bring Frostbite to life! BUT…and this is a big BUT…we are going to need your help,” reads the statement. “To take a page out of the Guardian handbook– it’s time to start training! We have to get a larger percentage of our followers active…over the next 2 weeks, we are going to work on waking everyone up– making sure they set their notifications to get our updates and rallying the troops. You want Frostbite? This is step one. The power is in the hands of the fans. May the odds be ever in your favor…oh wait, I mean: ‘Things die. But they don’t always stay dead." If you've seen the film (which I will review this week) you know the ending was pretty open to the story continuing as much like every other book to film adaptation this was just one part of a large series. What they didn't plan for was for the film to completely tank at the box office which is funny considering there wasn't a hunky male lead to draw in the "twi-hard" fan base this film was meant to attract. Either way we'll see soon enough if whatever they have planned works and Frostbite comes to life.